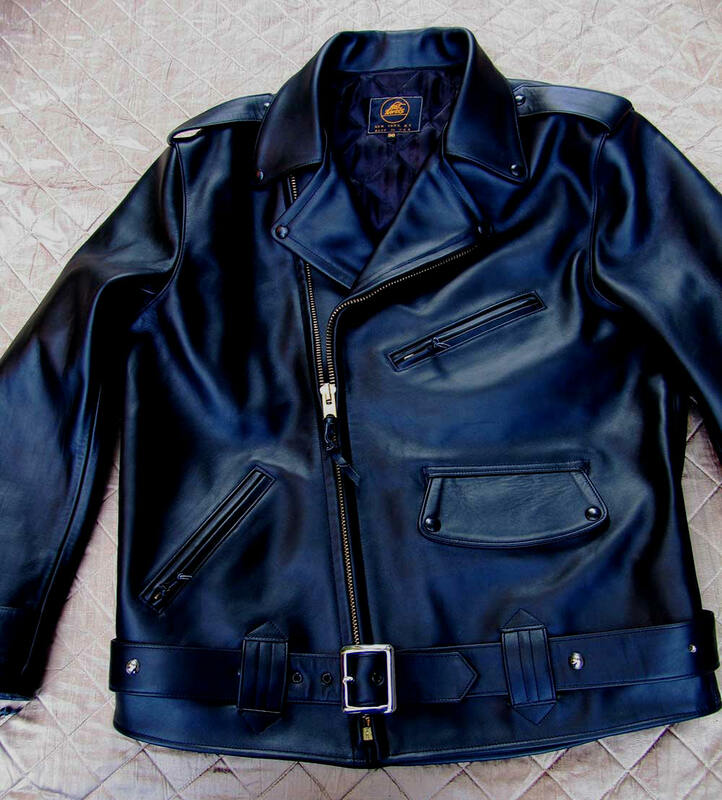 The Buco PJ27 is yet another incredible LOST WORLDS classic recreation of a horsehide classic known but to a few ardent collectors and old-timers who've been there. 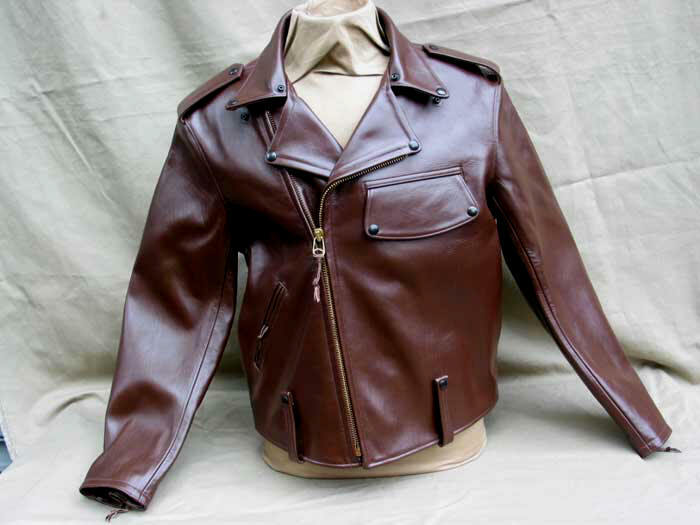 Consider the detailing above, the cut and profile, the dramatic sense emanated by workmanship and accuracy of pattern. From time to time we're asked why we don't "model" our jackets with "real," "live" people. LOST WORLDS jackets exude so much presence, are so pure and unadorned, that the usual marketing cliches of mediocrity and cookie cutter conformity would only contaminate. Our customers aren't the sort who need posed attitudes of unshaven hipster bravado. Consult the idiot tube or your phone for those cheap thrills. The jackets are the thing. The superfluous is best left to others, to those, of whom there are countless, indeed the majority, who must have the hype and plastic image-building. And plastic jackets. Remember, ID tags are usually enclosed in plastic. A metaphor for current society? 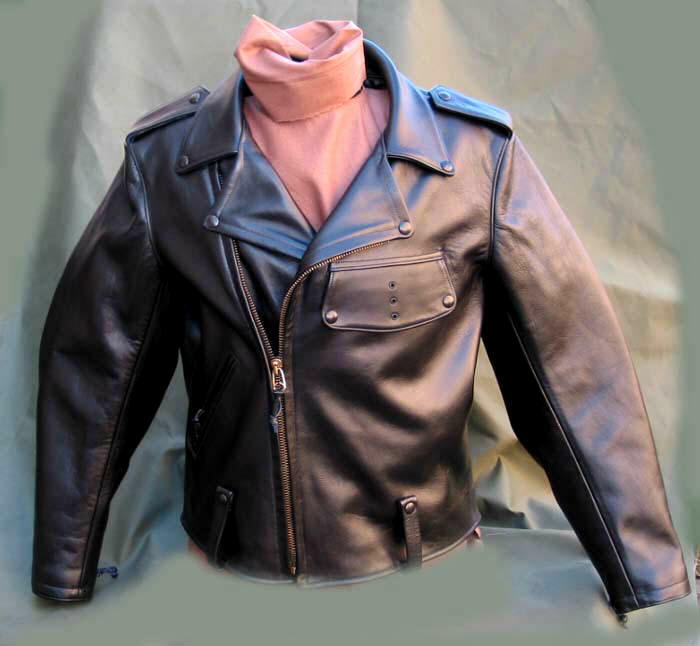 Plastic won't buffet you from serious injury in a road spill as we hear over and over LOST WORLDS jackets doing, to the amazement of our customers and our deepest gratification. This is, after all, what we do. 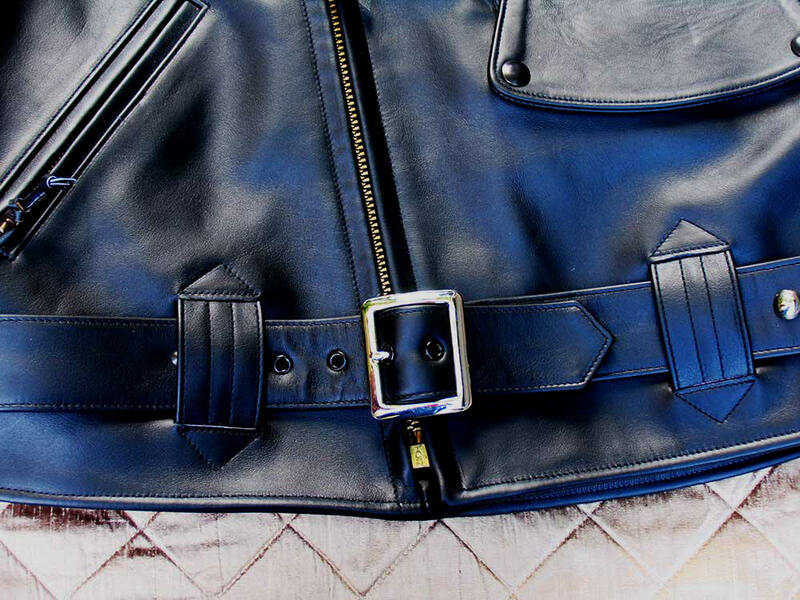 Our jackets are equipment, not fashion, but because beauty is function they're extraordinary looking. Back then, when men were men, form was function. Built to take punishment, destined itself to be an heirloom one day. Amazing craftsmanship without equal anywhere. 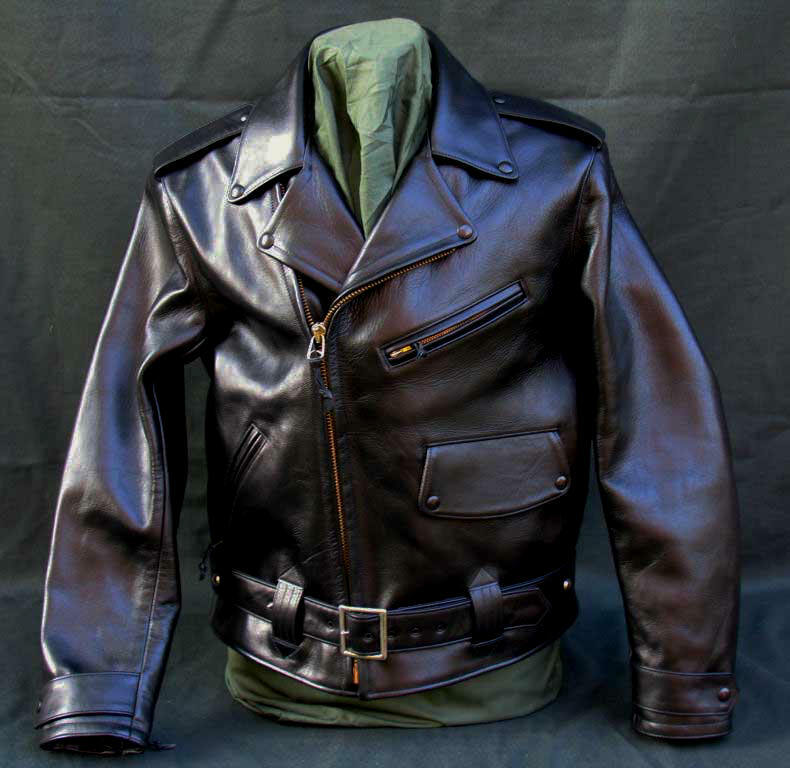 LOST WORLDS jackets are lessons in the lost art of American build quality. 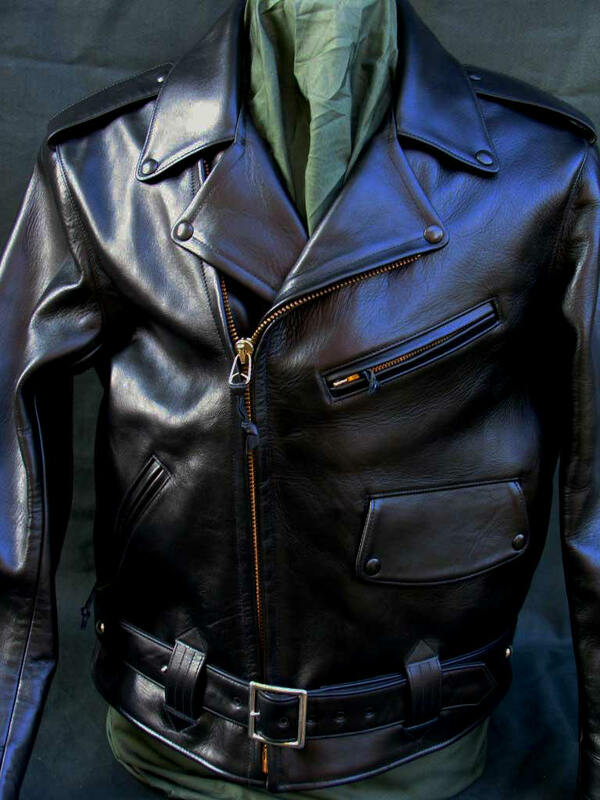 And built, of course, in our heavyweight Chrome-Tanned, Drum-Dyed Horsehide Leather, as the originals were, everything made at our NYC factory. 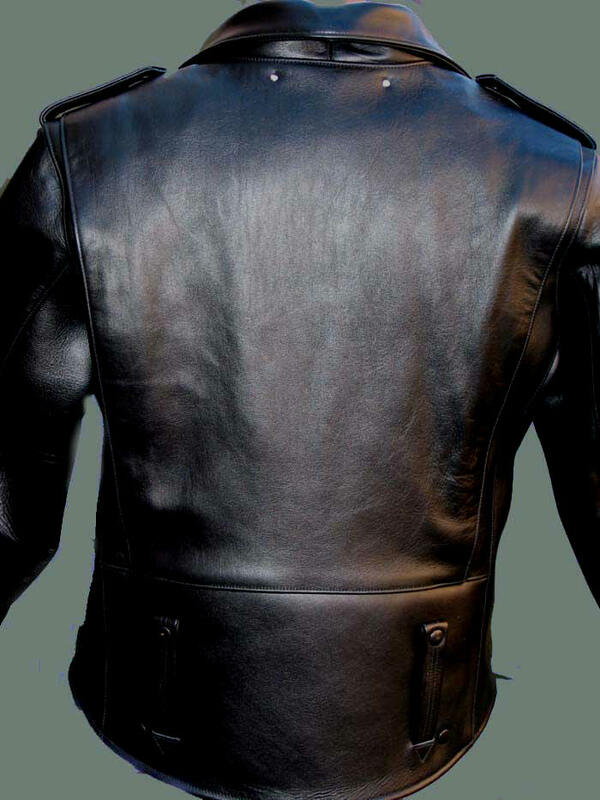 Horsehide was always the hide of choice in the old days because it's one of the toughest hides extant but, when broken in to a soft, buttery hand (a rapid process -- wear it and wear it in the rain), never diminishes in strength. On the bike, legendary for shock absorption -- horsehair is still used as filler in the best mattresses for this reason -- and abrasion resistance, both qualities absolutely essential in an accident or spill. Infection from road rash is one of the great risks of motorcycle mishap. 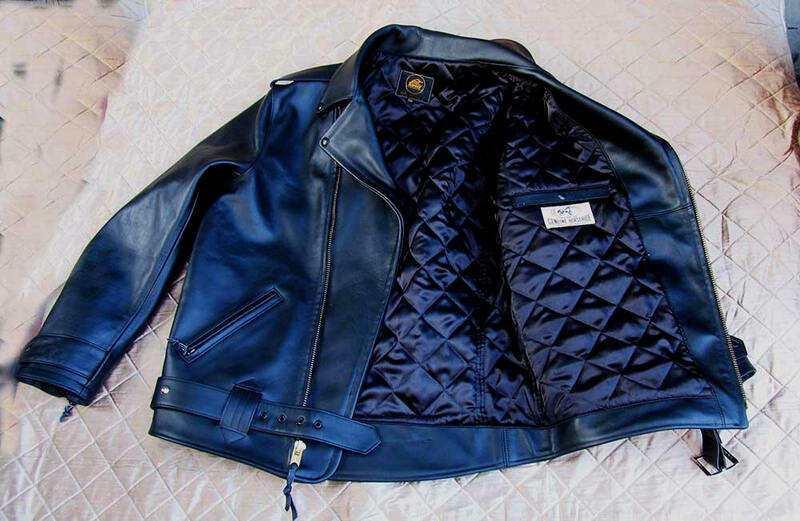 Those who know, know the proper jacket an essential component of the riding experience. Just as with mechanical components, price is relative to what you need and what you get. LOST WORLDS jackets are bargains. Are they cheap? It depends how you define cheap. 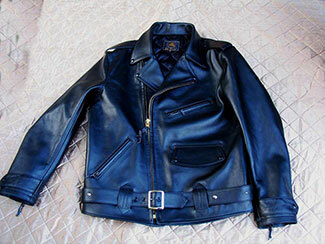 If a jacket keeps you from serious injury in an accident, it's cheap at any price. If some logo-happy, plasticky poseur doesn't, well, you, or the nurse, do the arithmetic. 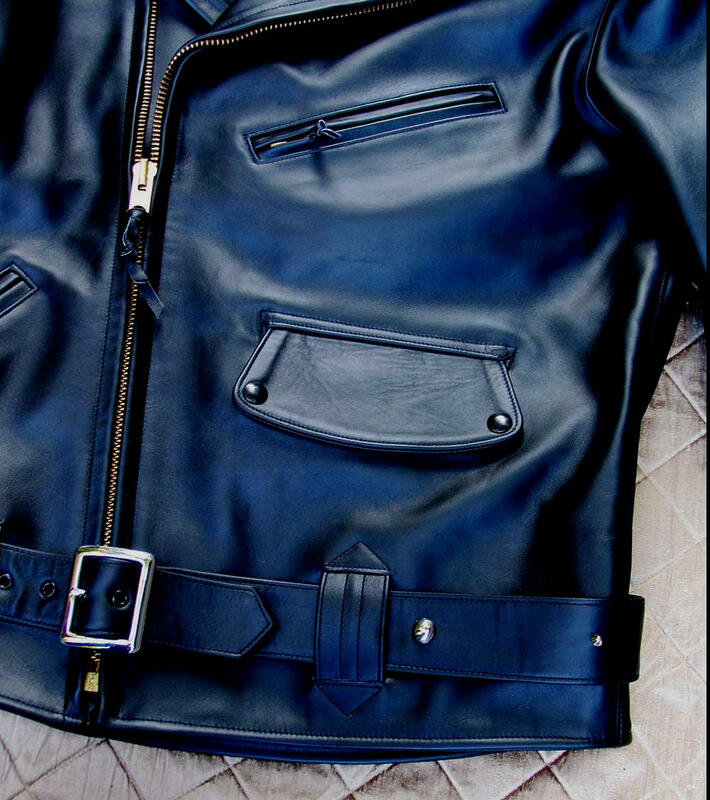 100% Pure Nylon Satin Lining, Cotton Drill Interlining, Brass Talon Front Zipper, Pocket Zippers. All-American in production and materials, as it was and as it should be. Quality in itself an education. What other clothing enriches one's knowledge and appreciation of what America was -- and what, alas, can never be again? Well, let's try to enjoy the deluge. "Got the jackets. Both are awesome .Your workmanship is spectacular. Fit is perfect. Thanks again."